At Baxter Real Estate our entire focus is on getting the best result for our client and ensuring the process runs smoothly along the way. Baxter Real Estate has been selling residential properties for almost 40 years. Whatever type of property you are selling, you will benefit from inside knowledge of our fully qualified Chartered Surveyors and a large database of active buyers and sellers built up over almost four decades. We believe that when it comes to selecting a Chartered Surveyor, it is better to base the decision on the service you will receive rather than the guide price being suggested. We recognise that our job is not just about selling bricks and mortar; we’re in the business of helping people to move or deal with their property issues. We understand the stresses and emotions involved in selling a property, and we use all of our experience to make sure that the process runs as smoothly as possible and that we do everything we can to achieve the very best result for you. To make sure we’re constantly improving, our Surveyors ask for feedback after every sale and we are proud of our near 100% client satisfaction rate. Selling through Baxter Real Estate gives you access to professional marketing material along with the latest IT technology and high internet exposure. We will put together a comprehensive marketing package so that your property is exposed to the highest level of potential buyers. We use signage, brochures, e-mail campaigns, websites including baxter.ie, myhome.ie, daft.ie, twitter, facebook,Linkedin and newspaper advertising. We appreciate that the sale of your home is a big undertaking but at Baxter Real Estate we will be with you every step of the way. We are Members of the following professional bodies SCSI RICS & IPAV ensuring the highest standards and are fully regulated by the Property Services Regulatory Services Authority. Declan Baxter BSc (surv) MSCSI MRICS MCIArb 087 6490146. Call us now for free market appraisal Evening & Sat appointments available. Team Experts Declan Baxter manages the Blanchardstown and City Centre office and is a highly experienced Chartered Surveyor and qualified Arbitrator with an in depth knowledge of the property industry and has a proven track record in all sectors of the market. Declan has a Bachelor of Science Degree in surveying from Trinity College, a Diploma in Property Economics from Bolton Street, DIT and a Diploma in Arbitration Law from UCD. Declan joined the long established Mason Owen & Lyons in 1999 and at Director level acted for many high profile clients such as Hibernian and Irish Life. Following a seven year period with Mason Owen & Lyons, Declan moved to Harcourt Developments one of Irelands largest property companies taking up the role of a Senior Property Executive. At Harcourt, Declan completed many significant and complex projects both nationally and internationally and oversaw the asset management of a large portfolio of assets which included residential schemes, shopping centres, business parks and hotels. Working on the client side has provided Declan with an invaluable insight into the service that should be provided to all clients and this ethos is at the core of Baxter Real Estate. Declan Baxter BSc (surv) MSCSI MRICS MCIArb - 087 6490146 or declan@baxter.ie. Call me today for free market appraisal. Evening & Saturday appointments available. 43 Ard Cluain, Main Street, Clonee, Co. Meath, D15 YY31. 1 Luttrell Park Crescent, Castleknock, Dublin 15, D15 RY7F. 26 Sorrel Dale, Clonsilla, Dublin 15, D15 Y2F7. 35 Ashfield Gardens, Clonsilla, Dublin 15, D15 HC2R. 12 Mulberry Crescent, Castleknock, Dublin 15, D15 X82Y. 96 Mount Garrett Park, Tyrrelstown, Dublin 15, D15 XP86. 24 Warrenstown Lawn, Blanchardstown, Dublin 15, D15 X8X4. 28 Aspen Avenue, Clonsilla, Dublin 15, D15 C6N3. 7 Beechfield Way, Clonee, Dublin 15, D15 N4A7. 16 Bramblefield View, Clonee, Dublin 15, D15 A6K4. 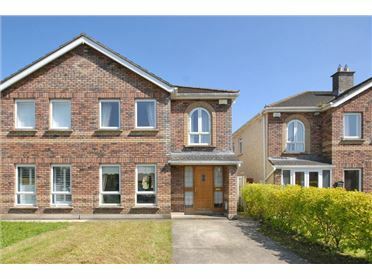 71 Annagh Court, Waterville, Blanchardstown, Dublin 15, D15 PF95. 2 St Mochta's Drive, Clonsilla, Dublin 15, D15 V2H0. 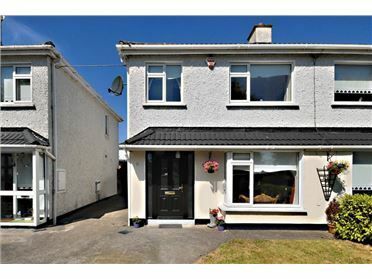 73 Westend Village, Blanchardstown, Dublin 15, D15 XY33.